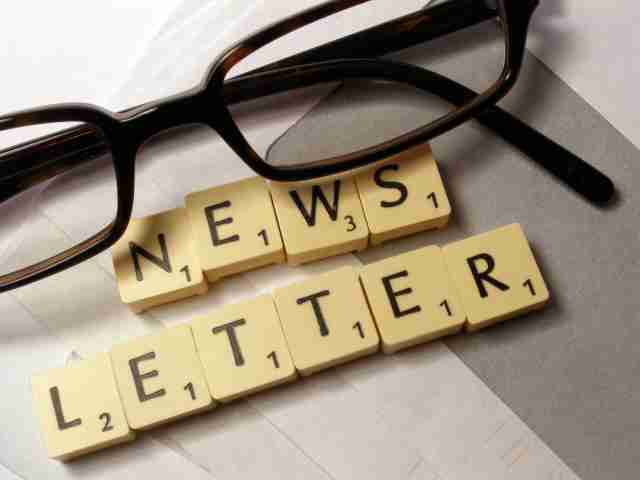 How to Write a Good Effective Newsletter? Effective newsletters should contain unique and interesting information. Writing newsletters, each company pursues a purpose of attracting new clients and paying attention of the already existing subscribers. Effective newsletter marketing should be supported with constant research and planning. Trying to help you in developing an effective newsletter marketing strategy, we would like to offer you some steps you should develop in order to create a good newsletter. These steps will help inexperienced managers to create effective emails and to make sure that the purposes of online marketing are achieved. Develop the main goals of your newsletters. Define the audience you are going to send you newsletter. Build a list of email addresses; don’t forget to update this list. It can be useful to apply some software to this list to make emails personalized (add a specific name to a newsletter depending on email). Create a plan of the emails. You need to develop a schedule of your newsletters since you need to know how often you need to create a newsletter. A newsletter is a way of marketing, so, you need pay attention to what you send to your clients. Write emails. You need to write at least 3-4 emails in advance because some urgent events may prevent you from writing on time. However, you must be regular. If clients know that you usually send emails on special days, they will be waiting for new information. Choose your recipients. Usually, the recipients are defined by special software. If you have to choose the recipients manually, you have to pay attention to their preferences. Remember please that the content of the newsletters should be interesting and necessary. If you continue sending useless newsletters, which do not carry any interesting or necessary information, you are sure to have a reduced number of subscribers. Process opt-outs. You need to understand the reasons of subscribing refusal. People usually point to the reasons. In case they don’t, you need to check several previous newsletters and to predict the possible reasons of opt-outs. Process bounced emails. You need to follow new subscribers and bounced ones. It is possible to try to predict the reasons and to try to increase the number of new subscribers and to reduce those, who can decide to opt-out. We hope these recommendations were useful. Good luck with our newsletter service!